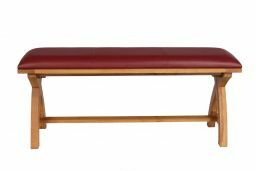 Red leather dining room bench from the Country Oak range. 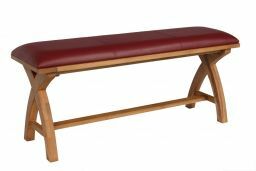 These very popular cross leg American oak benches are now available with a red leather padded top and other colours are now available. 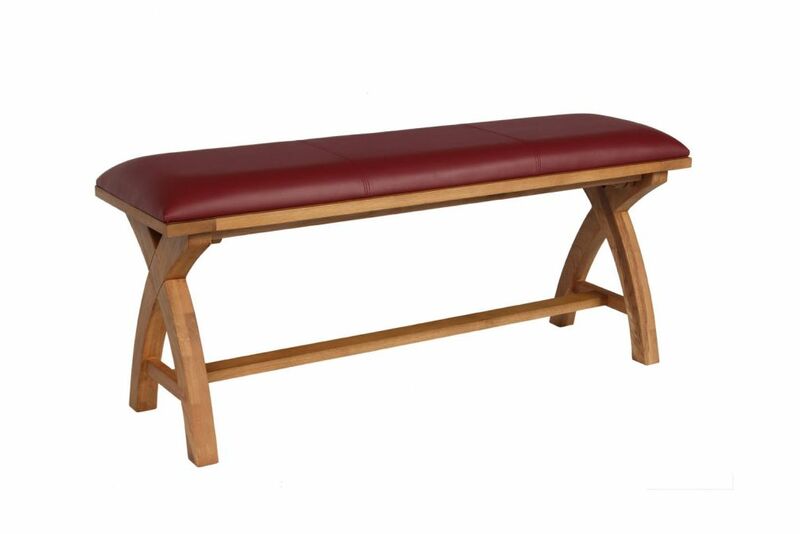 Also available without the leather top as a standard oak bench. Made from sustainable American oak these leather benches are a popular choice with families looking for a comfortable dining bench in this lovely deep red colour to brighten up a dining room or living room area. 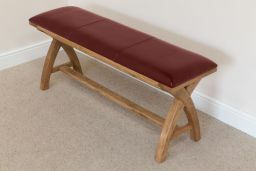 New photo's showing the red leather oak benches. 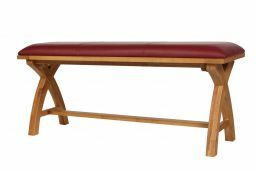 Solid construction and easy to put together. Looks good. Hope this colour will be available in the smaller size one day. Delivery was as arranged. 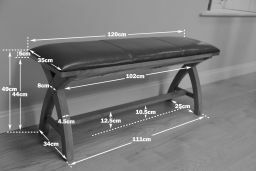 The bench was easy to assemble the legs. 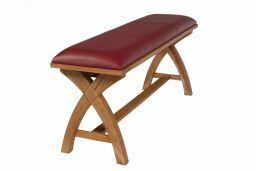 The quality is good and represents good value for money. 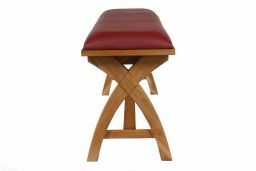 I undertook extensive research into similar items and this was by far the best in terms of price and a quality finish.